here are lots of little things to complain about in Zermatt, and if there weren't, it would be perfect - the car-free village, the fabulous views of the Matterhorn, the extensive slopes that stretch across into Italy, the amazing mountain restaurants and a guarantee that there will always be something skiable, weather permitting, throughout the year. The village is right at the head of a valley, surrounded by the highest peaks in Switzerland, and was a quiet farming community until the onset of Alpinism. Now it is a bustling town and the car-free cachet is somewhat undermined by the electric taxis and buses racing to ferry skiers and snowboarders around the resort and its four pisted areas. The main ski areas are the Rothorn, the Gornergrat and the pistes below the Matterhorn (including Schwarzee) that connect up to Cervinia in Italy. The ski areas are loosely linked together with the Gornergrat accessed by a slow but scenic cog railway adjacent to the main railway station, and the Rothorn and Matterhorn areas by lifts respectively in the extreme North and South of the resort. Although it sounds difficult to get about it is not, those plentiful taxis, frequent buses and the option of Shank's pony make it easier than it might sound. From the centre of town a good way to start the day is to take the Gornergrat railway (which starts very early) and hack across to the Rothorn or Stockhorn areas via Gant, or ski down to Furi to get up the Matterhorn. 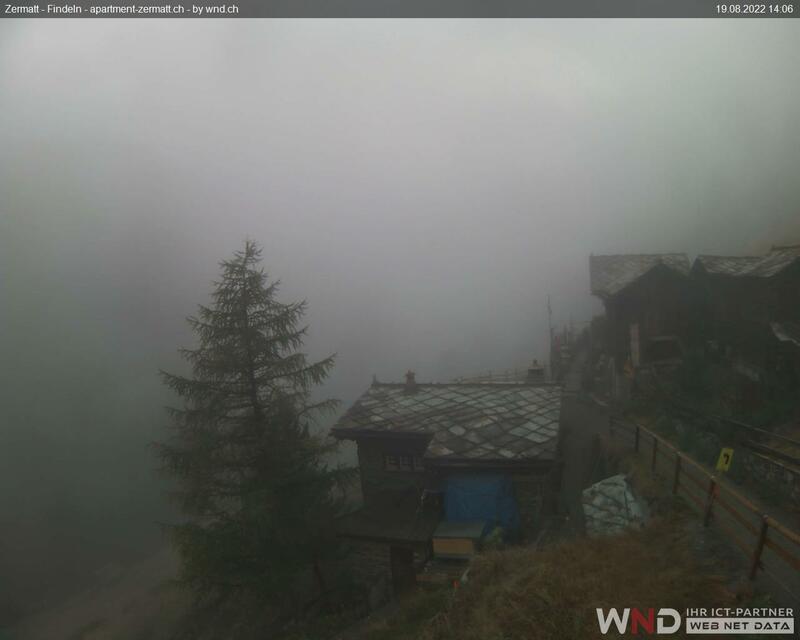 The downsides to Zermatt? Expensive, not a good resort for beginners, a few flat sections on the Matterhorn side and it can be brutally cold in January and February. Some seriously long runs here, particularly the 17k run off the almost 4000m summit of Klein Matterhorn via Trockener Steg and Furgg back into the village, often open long after most resorts have closed for the season. Also recommended are the Triftji bumps on Stockhorn, although they are often not open until late February. Stockhorn and Rothorn have 10k runs back into Zermatt. Zermatt has some of the best mountain restaurants in the world and dozens of excellent places to eat in the village itself. The small serving of fish soup in Chalet Etoile (+39 0166 940 220) off Plain Maison in Cervinia is not only an inexpensive and filling repast, it is probably the best fish soup you will experience anywhere in the world, at least above 2000m. Expensive but justly renowned are Chez Vrony (+41 27 967 25 52) below Sunnegga in Findeln, Zum See (+41 27 967 2045) below Furi (turn left at the signpost on to the path above Blatten), and the Fluhalp (+41 27 967 25 97) on the Rothorn. For après ski, many people congregate at the Hennu Stall below Furi before the schuss into Zermatt, whilst in the town itself a good itinerary for a night out might take you to Papperla, the North Wall Bar and Hotel Poste. For upmarket dining in town the Omnia hotel restaurant (+41 27 966 71 71) and Snowboat, The Zermatt Yacht Club (+41 27 967 43 33) are recommended and at the other end of the scale Sparky's on Schluhmattstrasse is worth a diversion for good value, good quality food and a relaxed atmosphere. Zermatt also has a good range of Asian and fast food joints. The best destination to access the downhill slopes by public transport in this ski area is Zermatt. Station adjacent to Gornergrat mountain railway - take courtesy bus or electric taxi, or walk, for other lifts. The resort operates the Snow'n'Rail scheme, providing a 20% discount on the combined travel ticket and lift pass. From Zurich the least travel time is 3 hrs 11 mins with as few as 1 changes going via Visp. Typically, an adult one day combined ticket is 272.80 SFr, reduced to 172.00 SFr with a Half-Price card. From Basel the least travel time is 3 hrs 24 mins with as few as 1 changes going via Visp. Typically, an adult one day combined ticket is 266.40 SFr, reduced to 168.80 SFr with a Half-Price card. From Berne the least travel time is 2 hrs 6 mins with as few as 1 changes going via Visp. Typically, an adult one day combined ticket is 216.80 SFr, reduced to 144.00 SFr with a Half-Price card. From Lausanne an adult one day combined ticket is 202.40 SFr, or 136.80 SFr with a Half-Price card. From Luzern an adult one day combined ticket is 260.00 SFr, or 165.60 SFr with a Half-Price card. 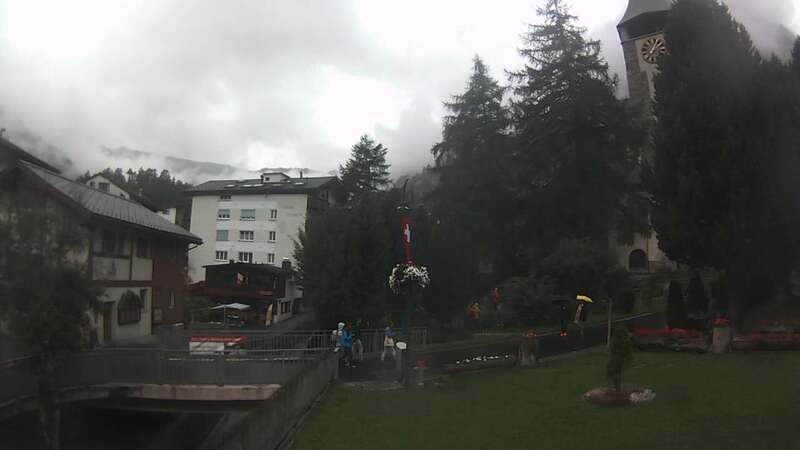 Indicative prices are for travel to Zermatt. Click here to find prices for other destinations. Under the combined ticket scheme the additional charge for a two day pass is 60.20 SFr. 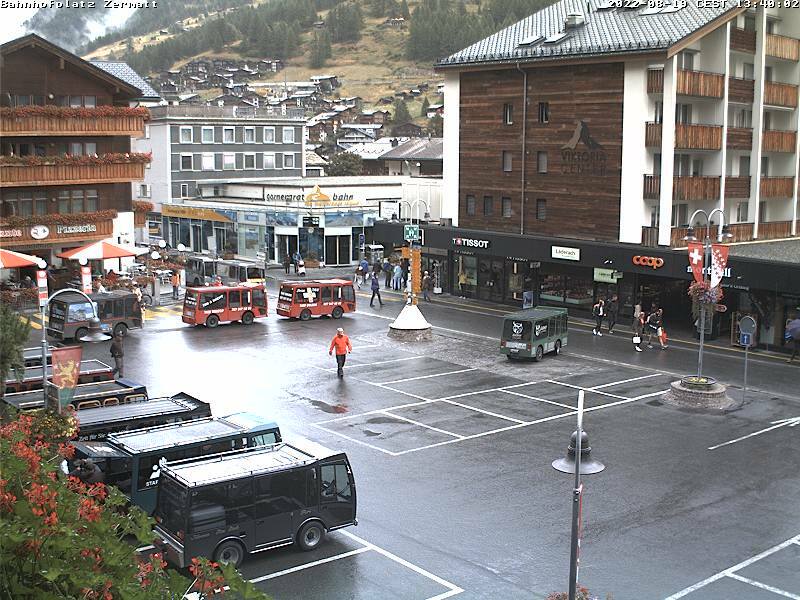 Zermatt is a car-free resort. If you drive you will need to pay to park at Tasch then buy a return train ticket to go the rest of the way up the valley. The road distance from Zurich is around 221 km and the journey time is roughly 3 hrs 50 mins. The road distance from Basel is around 229 km and the journey time is roughly 3 hrs 40 mins. The road distance from Berne is around 136 km and the journey time is roughly 2 hrs 40 mins. The road distance from Geneva is around 238 km and the journey time is roughly 3 hrs. Nearby destinations in the region include Grächen and the resorts of Saastal, including Saas-Fee. $$-$$$ Ski Zermatt Apartments, Zermatt Chalets for parties up to eight, 300 metres to lifts and 500m from the station, self-catering or catered. $$$$$ The Omnia, Zermatt Ranked #3 in Zermatt by TripAdvisor. $$$$$ Mont Cervin Palace, Zermatt (5*) Ranked #14 by Tages-Anzeiger amongst Swiss 5* Hotels. $$$$$ Riffelalp Resort, Zermatt (5*) Ranked #6 by Tages-Anzeiger amongst Swiss 5* Hotels. $$$$$ Hotel Firefly, Zermatt Ranked #6 in Zermatt by TripAdvisor. $$$$ Alex, Zermatt (4*) Ranked #8 by Tages-Anzeiger amongst Swiss 4* Hotels. $$$$ Alpenhof, Zermatt (4*) Ranked #13 by Tages-Anzeiger amongst Swiss 4* Hotels. $$$$ Mirabeau Alpine Residence, Zermatt (4*) Ranked #11 by Tages-Anzeiger amongst Swiss 4* Hotels. $$$$ Boutique Hotel Monte Rosa, Zermatt (4*) Rated a historic hotel by the Swiss Tourist Board. $$$$ Hotel La Ginabelle, Zermatt (4*) Spa hotel. $$$$ Hotel Matterhorn Focus, Zermatt Ranked #4 in Zermatt by TripAdvisor. $$$$ Hotel Matthiol, Zermatt Ranked #5 in Zermatt by TripAdvisor. $$$ Bella Vista, Zermatt (3*) Ranked #13 by Tages-Anzeiger amongst Swiss 3* Hotels, and ranked #8 in Zermatt by TripAdvisor. $$$ Coeur des Alpes, Zermatt Ranked #2 in Zermatt by TripAdvisor. $$$ Cervo, Zermatt (4*) Ranked #14 by Tages-Anzeiger amongst Swiss 4* Hotels and #1 in Zermatt by TripAdvisor. $$$ Unique Hotel Post, Zermatt Ranked #14 in Zermatt by TripAdvisor. $$$ Walliserhof Swiss Q Hotel, Zermatt Ranked #16 in Zermatt by TripAdvisor. $$$ Parkhotel Beau-Site, Zermatt Ranked #7 in Zermatt by TripAdvisor. $$$ Hotel Mirabeau, Zermatt Ranked #9 in Zermatt by TripAdvisor. $ Hotel Bahnhof, Zermatt (1*) Conveniently next to the station and remarkably inexpensive for such a pleasant hotel. $ Zermatt Youth Hostel, Zermatt (Hostel) 15 minutes walk from central Zermatt or 1 minute on bus to Winkelmatten from Luchre stop.